The Brown Trout season comes to a close next Saturday. It hasn’t been a classic season on the Devon with really tough conditions generated by the prolonged summer drought and Scottish Water abstraction in the Ochils reservoir resulting in consistently low water until Castlehill finally overtopped about a week ago. Anecdotal information suggests that the river is stuffed with wee fish (trout/salmon fry and parr) this season boding well for future seasons. Despite the tough conditions, anglers prepared to approach pools carefully have been rewarded with decent fish caught by a variety of methods including spinning with very small Mepps, trotting worms and casting upstream nymphs. Here is preying for rain! 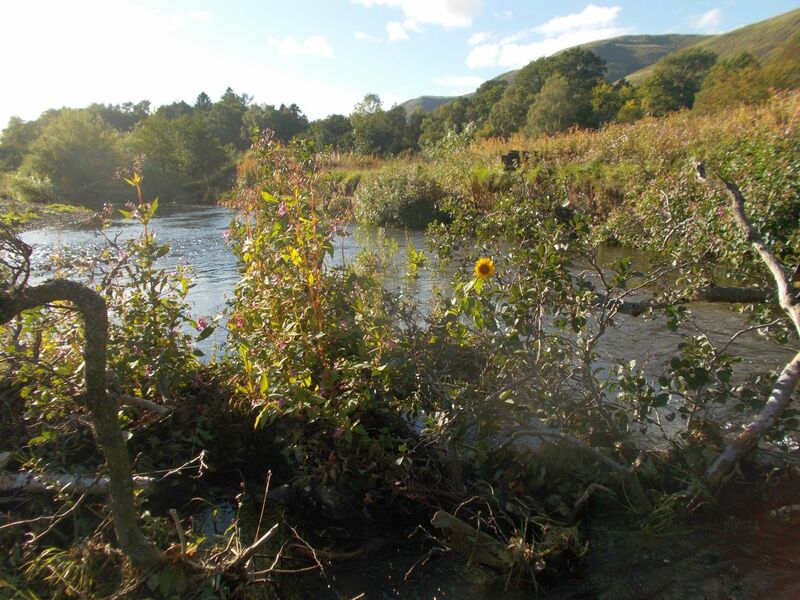 A wee cheeky Sunflower on a shingle bank with flood debris and Himalayan Balsam as neighbours! 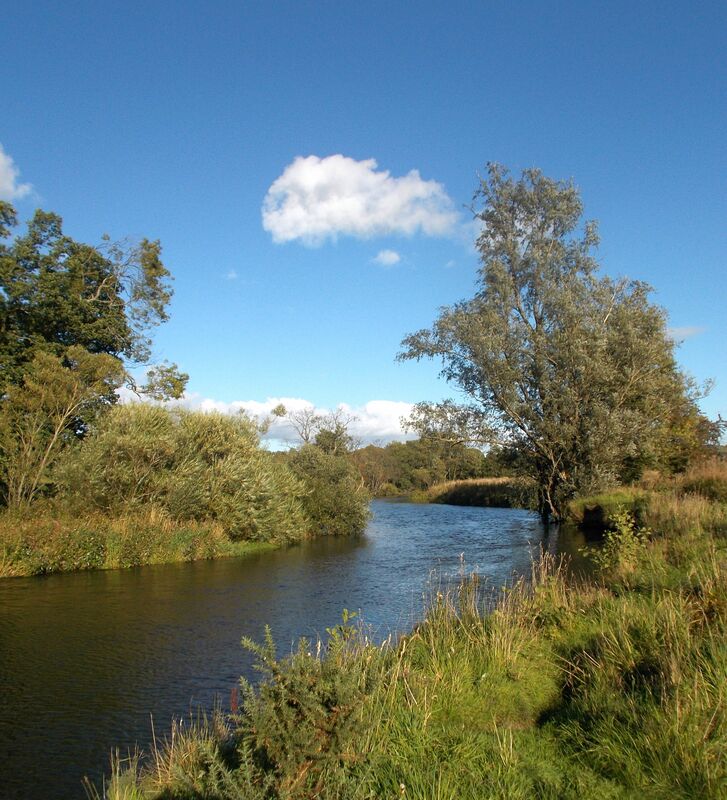 Enjoy the last few days of the trout season on the river and at Glenquey……. Salmon anglers prey for rain!